Gail Borden Jr. was a Texan land surveyor who is best known as the inventor of condensed milk. He was born in New York on November 9, 1801. He spent his childhood in New York as well as Indiana and briefly moved to Mississippi in 1821 where he worked as a surveyor and teacher. He was the deputy U.S. surveyor for seven years. He then settled in Texas in 1829 where he briefly indulged in farming before reverting to being a land surveyor, and even became the official surveyor of Austin’s colony. He prepared the first topographical map of Texas and became the head of the Texas land office. In 1835, he launched a newspaper called the Telegraph and Texas Register, which was the first permanent newspaper there and a very popular publication. He later sold his share in the Telegraph to Jacob W. Cruger. After the revolution of 1836, which resulted in the separation of Texas from Mexico, Borden helped to write its constitution and was appointed as the first Collector of Customs for the newly formed Republic of Texas in June 1837. He surveyed and planned the city of Galveston, and helped to develop it into the largest city in Texas. 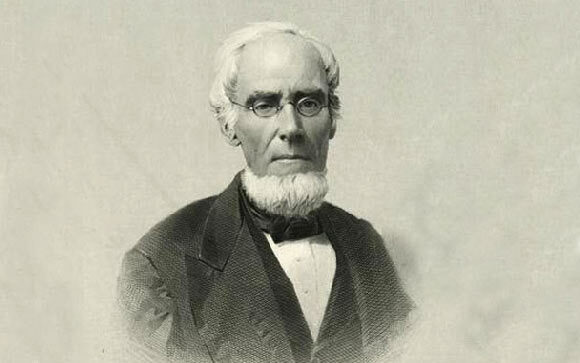 Borden lost his wife and children in 1844 and 1845 due to yellow fever, and this led him to research safe and hygienic ways of storing food to prevent disease. He experimented with refrigeration at first but soon developed his first major invention – dehydrated meat in the form of biscuits. Borden wanted to develop something that wouldn’t spoil so he made concentrated meat and produced it in the form of biscuits. It was widely acclaimed, particularly in Europe and certified by distinguished scientists such as Professor Playfair and Dr. Solly. The biscuit could be cooked in water to form a rich broth while keeping the nutrition value intact. It gained popularity as an efficient, affordable and portable form of food and was particularly useful for soldiers. Borden kept trying to improve his product, and spent more money in trying to perfect it. He was eventually driven to near financial ruin because of competing companies who moved in on his business. After the failure of this business venture, Borden developed another breakthrough product in the form of condensed milk. He once observed the process of making sugar which involved the use of airtight pans. This gave him the idea that the same process could be applied to milk and this would cause it to remain unspoiled for much longer periods. He applied for a patent for the process of extracting the water content of milk and adding sugar to make condensed milk, but his patent was refused on the grounds that the process wasn’t novel. He contested the decision and showed that the use of airtight pans was an essential and a novel feature in the process and was subsequently granted the patent in 1856. In the same year, he formed the New York Condensed Milk Company, which was financed by Jeremiah Milbank. They set up several factories in Connecticut, New York, Maine etc. He received four further patents related to the process and its use became widespread, especially during the Civil War era. Borden also developed and patented a process for condensing berry and fruit juices which was useful for wounded war soldiers as approved by the U.S. Sanitary Commission. He developed hygiene procedures, as well as procedures to condense coffee, cocoa and tea. When he returned to Texas, he taught his hygiene practices to dairy farmers there. He was a renowned philanthropist and built several schools and churches. He died in 1874 at the age of 72 and received several honors both during his life and posthumously. Borden county in Texas was named in his honor, as was the New York Condensed Milk Company which changed its name to the Borden Company in 1899. In 1892, his stepsons established the Gail Borden Public Library in Illinois in his honor.